Hair transplant is hair restoration techniques that are used for getting back the lost hair growth of a specific area of the head, caused by reasons like genetic inheritance, physical traumas and more other reasons. Everybody face hair loss problem to some extent in their life and it can be physically and emotionally distressing and can lead to diminished confidence and self-esteem. 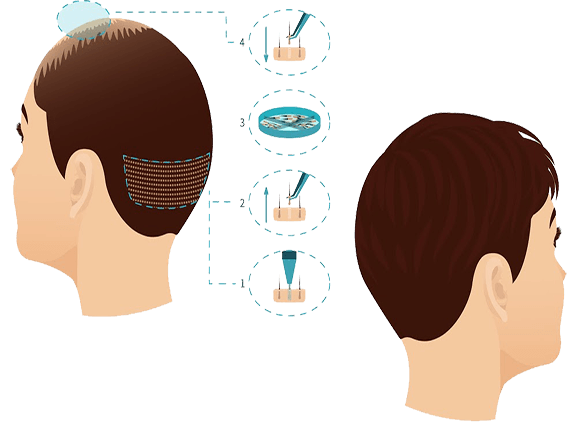 Hair Transplant is a surgical procedure used for restoring hair growth on the hairless part of the scalp. Everyone has a finite number of donor hairs at the back and side part of the scalp which can be used for the purpose of hair transplantation. 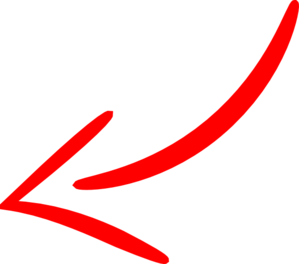 In a hair transplant, hairs are removed from the hairy part of the scalp and planted to hairless part. It’s a painless procedure performed under local anaesthesia The hair regrowth provided by hair transplant is natural and long-lasting also patients should keep realistic expectation about the results of hair transplant surgery. Marmm is a leader in performing latest hair restoration techniques. Hair Transplant is a surgical procedure which can be processed in two different ways. 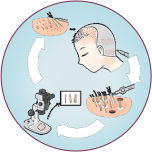 In FUE method, follicular units (Follicles are tissue units from where hairs grow) are extracted one by one from the hairy area using a microsurgical needle and planted in the bald area. A microscopic instrument is used for performing this surgery. Follicular Unit Transplantation a surgical process where the surgeon removes a strip containing hairs from the hair fall resistant part of the scalp and make small and circled grafts. Then grafts are placed to the bald part of the scalp, carefully. 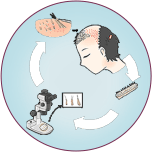 Patients who are facing hair loss due to male/female pattern baldness, are good candidates. People having enough hair growth on donor area so hairs could be used for transplant. People who have lost their hairs due to the accident, physical trauma or burn, can go for surgery. Who follow unhealthy lifestyle, low nutrients food, lake of sleep, physical and emotional stress, are not good candidates. Candidates who have realistic expectations, as results might occur months later after the surgery. Hair Transplant Surgeons use your own hair grafts & follicles, taken from the donor area, for transplant, so there is no any suitability issue. In some time hairs, growth starts that is natural & lasts forever. When hair transplant surgery is performed by experienced and expert hands of a surgeons, it’s completely safe and leaves no side effects. Also, there is no pain in the procedure due to anesthesia. Hair regrowth might result in gaining your lost confidence back that would help you interacting positively & communicate with people more freely as you present yourself better & confident before them. We have a team of board certified surgeons who are expert in their field and have accomplished successful rate of results. Our surgeons have years of experience and have performed hundreds of hair surgical procedures with satisfying results. Transplant procedures provided at Marmm are very affordable and we also give finance facility for patients for lowering treatment burden.